Remember those commercial shampoo ads where the girls used to have shiny, black and perfectly flowing straight hair. I used to watch them with my eyes wide open when I was a kid. Later I came to know they apply lots of hair shine products and sometimes wigs :D. With constant usage of chemical based products, my black and shiny hair became lifeless and dull. I still have soft and silky hair with an oily scalp but dryness on the ends. 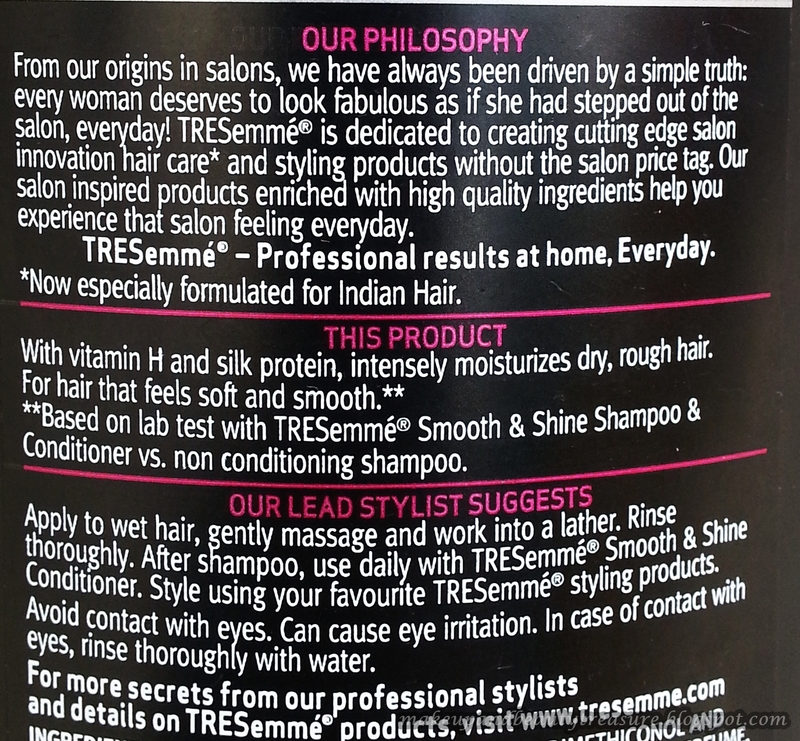 So when I read Smooth and Shine on TRESemme shampoo bottle I thought of giving it a try. Today I will discuss my experiences with TRESemme Smooth and Shine Shampoo. 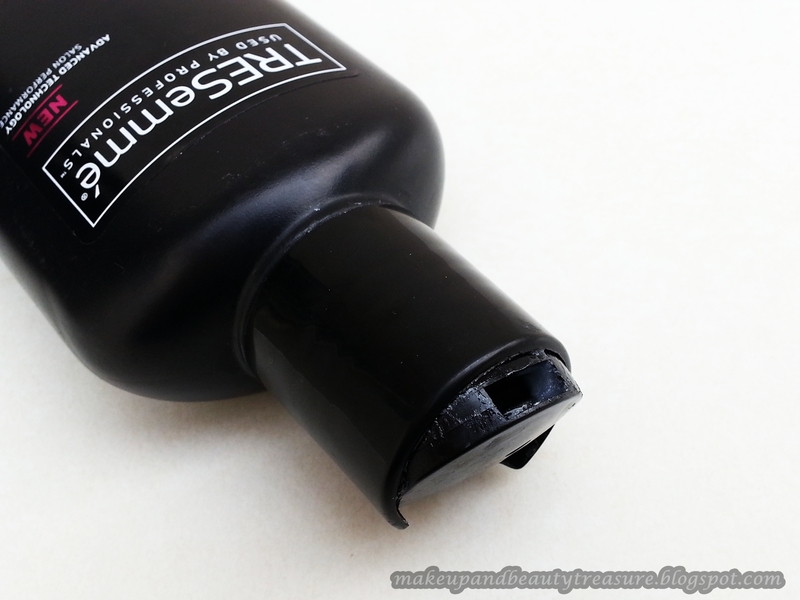 TRESemme Smooth and Shine shampoo comes in a sturdy, matte black plastic bottle with a ‘press to open’ cap. I find the cap very convenient and easy to use as opposed to flip open lid. You just need to press the lid where ‘press’ is mentioned and a small hole pops open from where the shampoo will come out. The packaging is travel friendly and it can be carried around in a bag without any fear of leakage or spillage. The shampoo is pearly white in color with a perfect consistency. It is neither very runny nor very thick. The smell of the shampoo is amazing. It is mild and subtle and reminds me of high quality hair salon products. Instead of applying shampoo directly to my hair I make sure to dilute it with water. 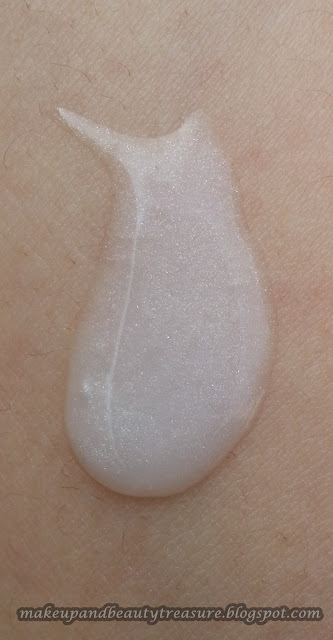 The shampoo is easily applied and spread to my medium length hair. It creates a rich lather with only a small amount of the shampoo. It feels really luxurious as you massage this into your hair. The nice aroma doesn't tend to intensify and remains subtle and pleasant which I like. After using this shampoo, my hair feels soft, smooth, and manageable with a healthy shine. It is easily rinsed away and doesn't leave any greasy residue behind. It cleanses my scalp thoroughly and effectively even if I have applied oil. It helps in reducing frizz to a great extent but I always make sure to follow it up with a TRESemme Smooth and Shine Conditioner to achieve maximum results. The ends of my hair which are prone to dryness also feel soft and tangle free. Since it controls frizziness, my hair is less prone to breakage nowadays. The scent lingers with me for quite a few hours. · The fragrance is mild and pleasant and lingers for quite a few hours. · Makes the hair soft, smooth and tangle free. · Gives healthy shine to the hair. · Easy to rinse off. · Reduces hair fall or breakage. · Contains Vit H and silk protein. · A little goes a long way. TRESemme Smooth and Shine shampoo is pearly white in color with a perfect consistency. It is soft in texture and gets easily spread into the hair. It creates a rich lather with a nice subtle aroma. It makes my hair soft, smooth, silky and tangle free. It cleanses the hair thoroughly and gives healthy shine to it. My hair is less prone to breakage after using this shampoo. I shall definitely recommend to people with dry and rough hair. Have tried TRESemme Smooth and Shine shampoo? How was your experience? Share in the comments below! Yeah they are pretty effective at such an affordable price! oh vowww... i have straight hair but scanty :( i lost 60% of my hair due to thyroid... and my scalp is oily...will this work for me ??? going by ur review i think this is the shampoo fr me.... I like the way u reviewed this shampoo... i hope it works for me ??? Yeah Natasha u should definitely try this shampoo. Follow it up with the conditioner from the same range. Try Cheryl's Scalp tonic too...It really helped me in reducing hair fall! Oil concoction also helps a lot in hair fall! very nice review:) I like Tresemme shampoo too,the fragrance is good indeed! Hey thanx Bushra :) I too like the fragrance. Havent tried climate control yet! I like their range, they did a good job for me. I want to try the climate control one now! M yet to try their climate range. Have heard good things about it. nice review.i had tried it earlier didnt work so much for me...but after reading your review wan to try it again. Ohhh did u follow it up with the same conditioner? nice review, soooo clear pics, which cam u use? Thank u so much Tapaswini. There's no fixed cam. Ikeep changing between Sony Cybershot, Iphone 5 or Sony Ericsson Satio. Nice review. My husband uses this shampoo :) I love the smell of this! hey i am pretty late with this comment but i wanted to know how it acted on ur dry ends.i have dry ends too that i absolutly hate.i am thinking of buying this so wanted to know how it treated rough ends before actually buying. Hey i too have dry ends. I always follow it up with the conditioner from same range n yes it made them soft n tangle free to a great extent. I ve been using Pantene Hairfall Controll for more than a year... I felt my hairfall got reduced but My hair became Frizzy...!!! Then before a month I have tried Pantene Nature Fusion...!!!! Ufff.... Waste of Money...!!! Nothing happened :( again i was carryg frizzy and un-managable hair. Hi dear never tried Pantene shampoo. Yes you should definitely try this shampoo along with conditioner from same range. It controls my frizz to a great extent. I also find Dove Split end rescue range pretty effective too. Will review them soon. Wat shld i do now...!!!! I ve heard about Tresemme Hair Spray....Hav yo tried that?? Ohhh it dries out your hair :( It suits very well on me. You can try leave in conditioners but since I havent tried could recommend a specific one. Nope havent used spray yet. You can try natural home made masks. I have started using Tresemme Conditioner..Now I feel hair is very soft..Previously it was very frizzy..So ,I stopped using Dove shampoo too.. Totally I like this product very much.. I have one doubt, please claridy. Shall I apply conditoner in root also, or i should apply from mid length only? I have hair till shoulder only. Thanks a lot for youe review. I am also usign Treseeme only. Now i feel my hair is very soft and silky. I like it very much. I will recommend everyone to use this shampoo or conditioner. Shall I aplly conditioner in root or should i apply only from mid length of hair.? I apply over the lengths of the hair. Haan Yaar Woh Toh hai..!!! Aur haan..! Thot to ask one question..!! im usg ponds white beauty face wash now wid cream... PwB Facewash gves u immense fairness after wash no doubt in it..par it leaves ur face like a paper..!!! Can u suggest any product whch gves u fairness as well as moist skin..!!!!! "CLEAN AND CLEAR" kaisa h?? Mix neem n haldi n apply daily over your marks for 10 minutes. I suggest u not to use fairness products a lot. They r ok if u use them once in a while. Clean and clear bhi theek hai. I had used it long back. What type of skin do u have? No Adil it wont make ur hair straight. It helps in making hair soft, smooth n silky. It would also make ur hair less frizzy! Hi megha nice review. Im very much tried with my dandruff full hair after my second delivery. Trying to you tresemme. Which kind shall i use to reduce my hairfall too? First try to reduce dandruff which is the root cause of hairfall. Both smooth n shine n climate control are good but still i found smooth n shine better. U can purchase small versions n try it. hey megha i have a thin brown hair....i jus dono y my hair colour changed from black to brown...and m hating it...wil tresemme help me regain my colour..?? Hi Sandhya i dont think it would help in changing hair color but it does improve the texture of hair. U can try small variant. hi megha am having curly hair.can u please tell if i use this tresemme shampoo will my hair get smoother. and do we need to use only this shampoo with corresponding tresmme conditioner. can we not use tresemme smooth and shine shampoo with tresemme hair fall defense conditioner. Yeah it will help in making ur hair soft and smooth. It is recommended to use same variant conditioner for optimum results but u can always use other conditioner as well. U can also try Dove split end rescue shampoo n conditioner. They too are fab. i have smoothing done on my hairs 2 months before.i am using schwarzkopf shampoo and conditioner but it is very expensive.i have dry scalp.i am having hair loss now days due to changing weather i guess.Since this shampoo is very expensive.Can you please suggest me,can i also use tresemme or it will harm my straight hairs? ?or i should continue using schwarzkopf shampoo for straight hairs?? since u have dry hair u can try this shampoo. Well i dont have any idea about straight hair or rebonding but heard a lot about loreal shampoo professional one! hi megha!i have smoothing done on my hairs two months ago. i use schwarzkopf shampoo and it is quiet good.but since it is very expensive n because of hair loss,i am thinking of changing my shampoo.can you suggest me which shampoo to use?can i use tresemme or it can harm my rebonded hairs? ?i have dry scalp.which range to use?? Hi megha.. nice review.. I tried this tressme shampoo but I noticed some hair fall... I heard that matrix deep smoothing shampoo is nice.. I cant decide btw these two shampoos.can u suggest me matrix or tressme..?? I had tried Matrix deep smoothing shampoo n it caused me loads of hairfall so i wont suggest u this shampoo. If tresemme is causing u hairfall u can try Dove. After reading your review regarding tresemme i really want to give it a try but right now i'm using oriflame dry and damaged hair shampoo and conditioner.my hair s quite dry and have lots of splits too. dis shampoo does work for me but i wanna try tresemme too.im bit confused bout using it or not because i'm scared About the hairfall due to change of shampoo. plzz suggest. Try dove split end rescue range. It works great on dry hair. i have pigmentation marks in my face and i really hate that i would be happy if it fades soon,suggest any remedy! Apply cucumber juice on face for 15 minutes n apply sunscreen whenever u step out in the sun. can this tesemma hair fall defence shampoo help against hair fall??? Is the hairfall due to dandruff? If so try reducing the dandruff first. Yeah all Tresemme range are good in reducing hair fall. I ll reviewing the hair fall control shampoo soon. Hie!! I've been using tresseme regularly! First it wld giv tat shine nd smoothness nd was awsum! Ohhh then change the shampoo Pooh. Try the dove range. Ohhhh have u tried Tresemme Climate control range. Its good too ! I used many shampoos to control my hair fall n for shine hair. bt, the result was zero.. I was go through ur reviews, is thizzz shampoo will help me ??? waitin 4r ur rply :( plzzz help me.. It does help in controlling hair fall and gives healthy shine. Make sure u use it with conditioner from same range! No dear it does not help in split ends! Yeah it does work on oily scalp. I have not tried that range Indu. rough.i want my hair soft nf silky.l try allraedy Avon shampoo nd condi..
which profuct i used my hair also long.up is straight nd down is curly. Hi u can try this shampoo or Dove split end range. It controls frizz to a great extent! Ohhh Kashish may its the time to change your shampoo! Hi Megha... I have tons of hairfall. please help me. Always i like to have healthy, long and volume hair but I have somewhat little dry scalp, thin, unhealthy, split ends hair. please tell me which one to use tresemme or dove and please be specific. Thanks in advance.. Thanks for positive review.Gonna to try this shampoo. Can I use tresmme on my rebonded hair, using matrix prodcts right nw. My hair were fizzy but after a month of gtng rebondg done they have. Again statrted getng fizy. Dnt expctd dt n dnt 9 wt to do nw....!!! I really don't have any idea on rebonded hair dear so cant suggest! hie!! hey i hav been using tis shampoo since a long tym bt d problem is wen i started using first it really worked bt then again my hair started getting knots nd had alot of hairfall so i discontinued it nd used a different shampoo tat was loreal nd it just didnt suit my hair so i gt bak to tresemme nd then it again worked ! bt nw again im facing the same problem .... dry hair,weak nd hairfall nd my hair volume has just becum half !! plz help! I feel it happens with all shampoo. You must change the shampoo after 2-3 months. Loreal has never suited me and caused me lots of hairfall. Before suggesting you any shampoo i would like to know your hair type. I you are facing hairfall then i would suggest you to use a good hair oil! Replied on your email Payal! 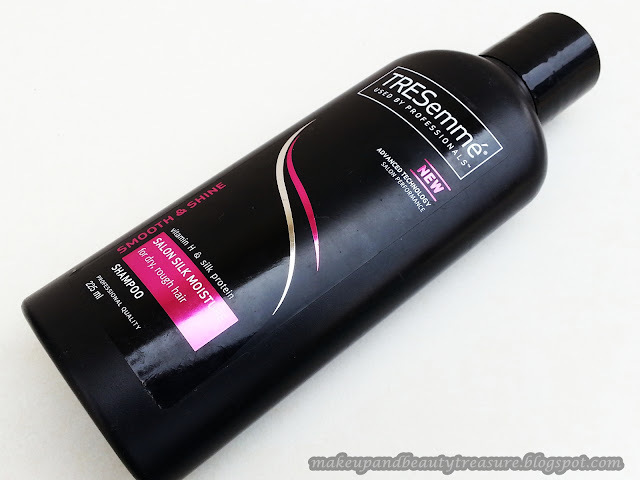 Hi Megha, i have used tresseme's anti hair fall shampoo for more than 2 months now. Although my hairfall has decresed but my hair has become quite limp. Additionally, whenever I go for a haircut or so, the hair stylist recommends never to use tresseme as it contains lot of harmful chemicals. So, I am worried whether it will affect my hair inthe long run. 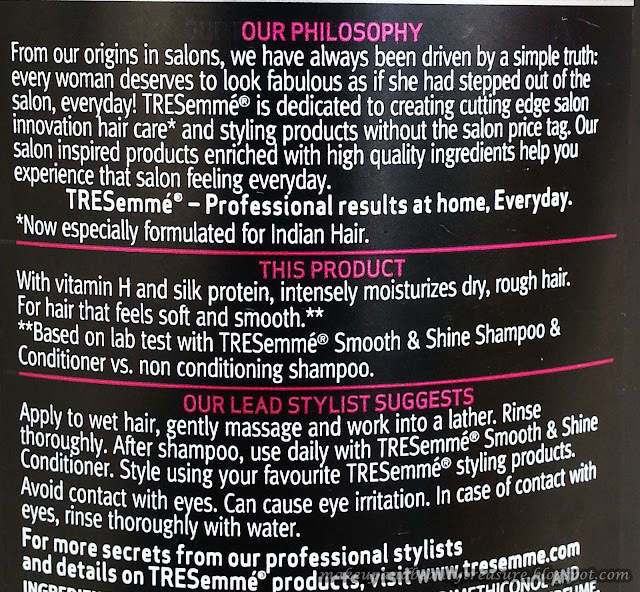 All non herbal shampoos contains chemicals so you cant blame only tresemme! If you feel your hair get limp with this shampoo try using voluminous shampoo instead! I just got my hair rebonded about a month back.can i use tresseme shampoo?plz reply. Yes i would suggest you TRESemme Keratin Smooth For Straighter and Smoother Hair Shampoo!